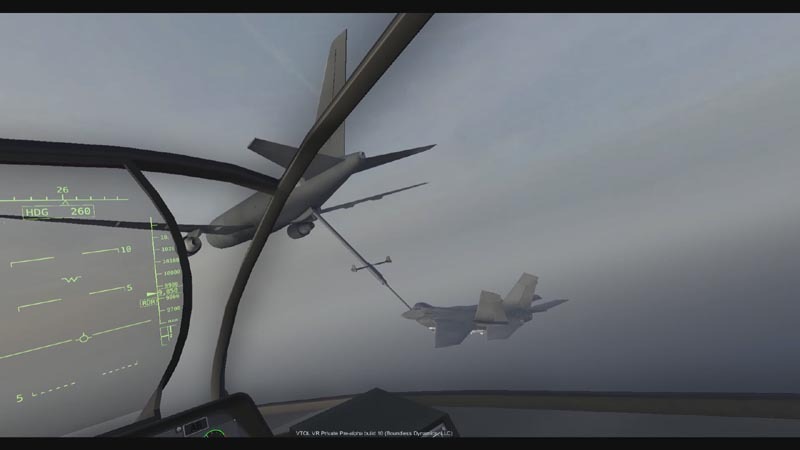 Let’s start this review by prefacing the fact that VTOL is a very difficult, highly immersive, smartly developed game by a lone programmer who decided that the VR world needed something for the serious flight aficionados amongst us. Paolo Encarnacion is his name, and this is his first VR game. If you’re prepared to be patient, invest time, and die a lot while feeling like a top gun Maverick, then this is the game for you. VTOL stands for Vertical Take-off and Landing, with the most common known aircraft having this ability being the famous Harrier Jump Jet, which can take off directly into the air without requiring a runway, then in mid-air turn itself into a regular fighter jet. This game takes some liberties, creating its own futuristic VTOL aircraft, giving it a bit of creative freedom in regard to its designs. However, the developer has thought about all the little things that make flight simulators so immersive. 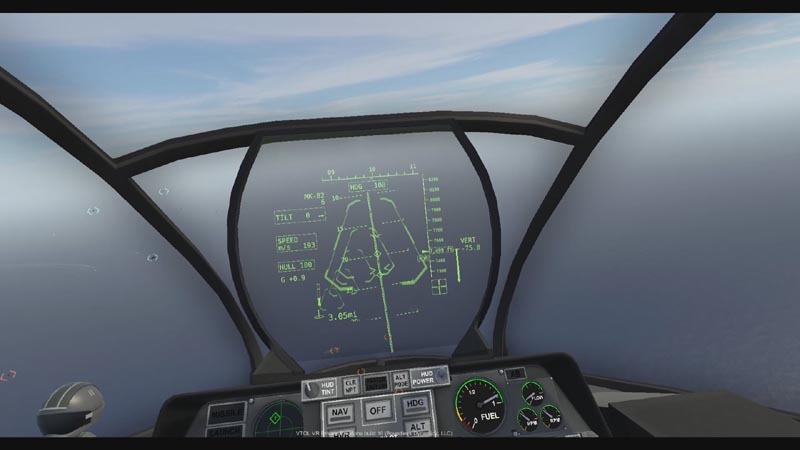 The first time you sit in the cockpit and follow the startup procedures, which involve flipping around 10 switches to get the aircraft ready for takeoff (from engine warmup, powering up your HUD, turning on power, etc), you will be invested. As the engines finish warming and you slowly increase lift, watching the airbase fall away below your feet is a sight to behold. This is one of the most immersive VR experiences you can currently have. Guaranteed. Once airborne, it is very easy to transition from VTOL mode to JET mode (changing the pitch of your engines from 0 degrees to 90), allowing you to fly the plane like a normal fighter. Each flight mode has its uses. VTOL mode is definitely easier for picking and drop-off, or hovering above a group of boats in ocean and launching salvos of missiles. Jet mode is the top choice for going long distances or for fast paced aerial combat against other aircraft. The first time you are assigned to regroup with other fighter jets heading towards an objective and suddenly three jets are crossing in front of you, then holding formation beside you, is not a moment you easily forget. I cracked one of the biggest smiles I’ve yet had in VR. This is not an easy game. There are various flight assistances available by toggle (think specific autopilots) that will help hold your altitude, direction, and hovering. As much as I’d like to say I didn’t need help, switching the hover assistant on makes your controls much less sensitive and alters your positive/negative vertical climb to be much easier to control, allowing for better altitude control as you come in for a landing. With a fantastic HUD system in place, you can even pick a waypoint and allow the game to fly you from one waypoint to the next, giving you a bit of a break on some of the longer flights. Not a game to be taken lightly, this is not a pick up and play simulator. You need to be aware of your surroundings, the physics of your current flight model, and the best way to achieve your goal with the fairly unforgiving, very realistic flight model. If panic hits, smash all your flight assistants on and it might just save you a couple feet off the ground. I am ashamed I have used this more than once. Along with the solid flight model there are tons of great features including mid-air refueling, interchangeable weapons systems, and catapult assisted takeoff and landings on aircraft carriers. 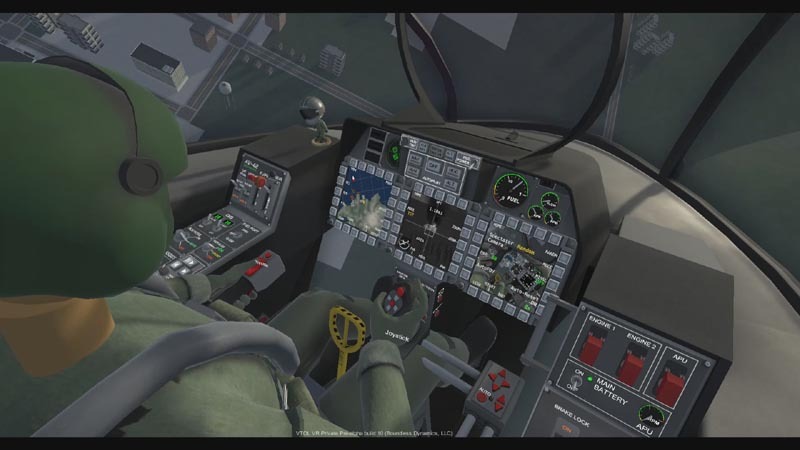 For a one-man development team, it is very impressive what work has been done and is to be coming in future updates, including multiplayer, custom and random mission generators, more flyable aircraft, and campaign missions. If this sounds up your alley, you’re in a for a fun ride. The graphics, while not incredibly strong, do the job. Environment details are lacking, don’t expect to see trees, grass, people or cars moving around as clearly the development focus is on more core content. I will never get tired of watching missiles from myself or friendlies streak across the sky, scattering enemy airplanes into pieces and hearing the radio chatter of fellow AI pilots. I have only played this game with the motion controllers and found it work quite well, but I would love to sit down and play it with proper HOTAS support. Everything in-game is controlled by your two hands, from flipping switches, to turning on monitors, selecting targets, and grabbing the throttle and joystick. In terms of longevity, there are several missions to dive into, and with a few aircraft to be unlocked there is some replay value. This being an Early Access title, you know you are going into a game that is not finished, but those dollars help the developer continue to focus on this game and help push out updates at a very consistent pace. 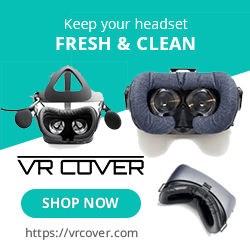 In the end, if you are looking for a true VR flight simulator, this is the one. Designed for VR (and not some game that tacked it on), it delivers on every level that a flight-sim should. Boundless Dynamics LLC provided theVRgrid.com with a review code for this game and, regardless of this review, we thank them for that!